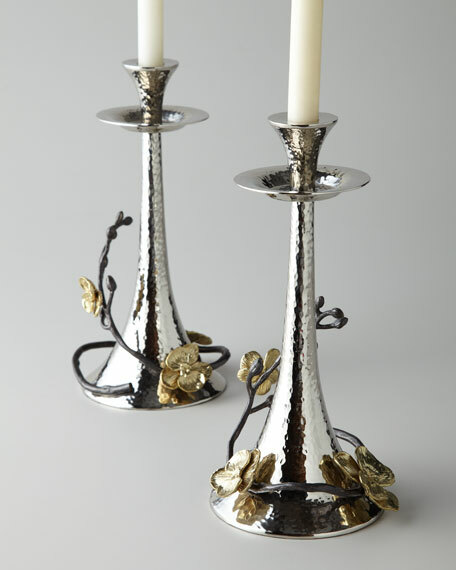 Taper candleholders handcrafted of nickel-plated and brass-plated metal. Set of two; each. 11"T.